We've all wanted to go to space at some point in our lives. But while tickets typically cost hundreds of dollars a pop, the Kerbal Space Program lets you avoid shelling out big time while still giving you a chance to explore the final frontier. This award-winning space simulator is now 66% off in the TechnoBuffalo Deals Store. Don't just take it from us: the Kerbal program received a 9/10 on IGN and 5/5 stars on PC World. And no wonder, considering you'll have full reign over an award-winning physics-based flight simulator that'll allow you to venture deep into outer space without leaving your seat. The premise of the game: you basically receive control of an entire space station that's yours to build and manage, plus lead a crew through missions to become full-fledged space heroes. You'll also be part of a large community of fellow gamers with whom you'll be able to chat, get game mods, and more. And perhaps the best part of the simulator? The flight physics and attention to detail are second to none, meaning you'll barely remember you're only playing a game. 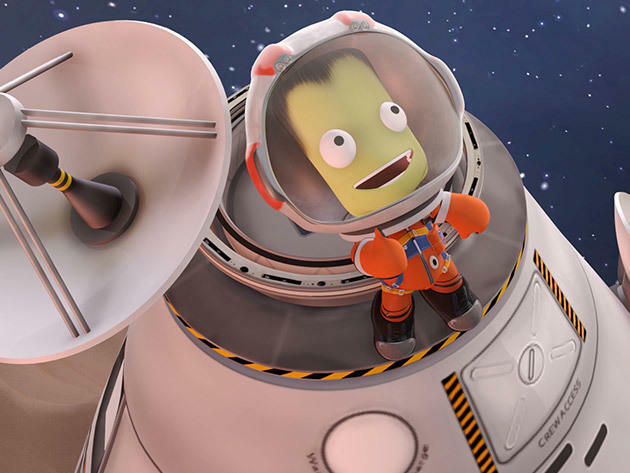 For an award-winning flight-simulator experience, get the Kerbal Space Program for just $13.59 while it's available.